Schedule A Free Written Estimate! Find Your Local Dealer Today! Why Fix My Sinking Slab? There are several different products that can be used to level concrete, all with different costs, installation times, and each with their own benefits and disadvantages. Learn more about why more contractors choose PolyLevel over other slab leveling techniques. Before & after. 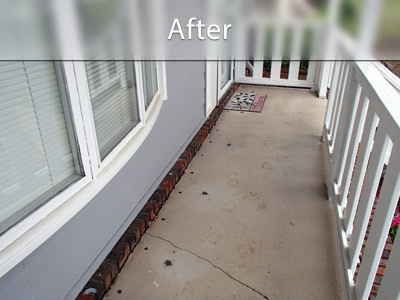 The concrete slab of this porch was raised to close the gap visible along the brick curbing of this porch. PolyLevel®, a concrete lifting technique, provides an affordable and less destructive alternative and offers numerous advantages over other common slab raising methods. What is the PolyLevel® System? PolyLevel® combines the already-proven technique of concrete lifting with a specially-engineered two-part expanding foam that makes it possible to permanently restore the concrete surface with little downtime and disruption. PolyLevel® is both lightweight and durable, and is able to support and lift sunken concrete back to its original level without any added weight. 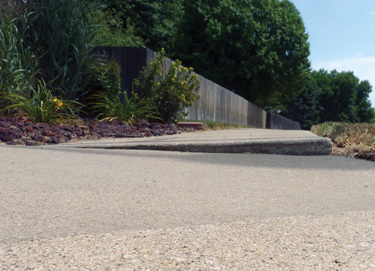 PolyLevel® offers numerous advantages for residential concrete repair, as well as a variety of commercial applications. Contact your local PolyLevel® dealer today to learn more about how they can help! 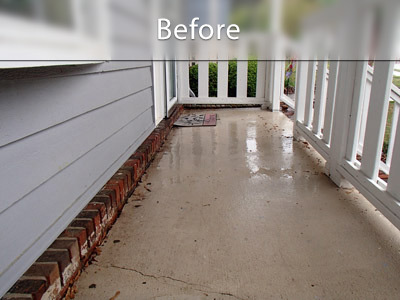 As walkways, driveways, and concrete steps settle and sink, they tend to crack which creates uneven surfaces and safety hazards. Not to mention, cracks in the concrete are also unsightly! Noninvasive: The equipment used is less bulky and PolyLevel® injection foam is less messy. Strong and lightweight: PolyLevel® does not impose added weight on unstable soil, but can still support a substantial load. Waterproof: PolyLevel® will not wash away once it is cured. Stop living with that uneven sidewalk or driveway! Contact your local PolyLevel® contractor, who can examine your sunken slab and determine whether this concrete leveling method is right for you.